Roots has their Warm Up Event on now! 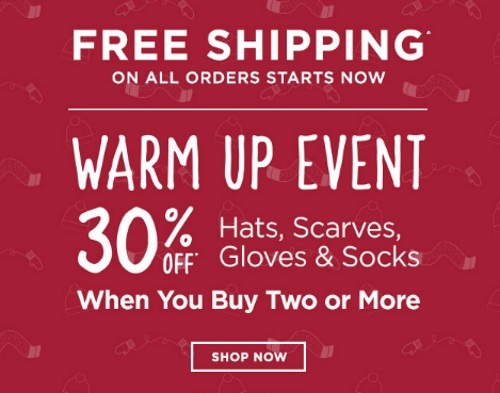 Save 30% Off Hats, Scarves, Gloves & Socks when you buy two or more! Offer ends December 11, 2016.